Vier manieren om Openbaring uit te leggen. 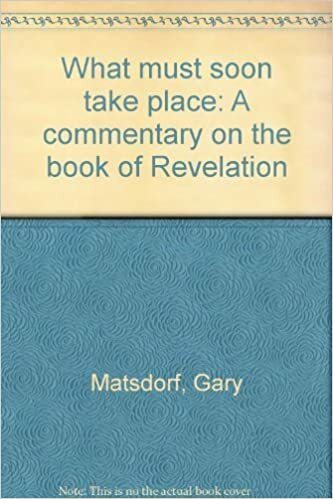 Regarding an approach to interpreting the book of Revelation, Luther said, “Everyone thinks of the book whatever his spirit imparts!” There are four basic schools of interpretation, however. 1) Preterist/Contemporary-Historical—this school states that the author was writing about the first century Church’s clash with Rome (the beast of Revelation 13). According to the preterists, John has “nothing more in mind than [the first century Church’s] situation.” “The Church was threatened with practical extinction in the face of impending persecution, and John wrote to confirm the faith of believers that even though terrible persecution was at the door, God would intervene, Christ would return, Rome would be destroyed and the kingdom of God shortly established.” Faced with the reality that this did not happen, the preterists hold that such is unimportant. The book served its purpose in strengthening and encouraging the first-century Church. 2) Historistic/Continuous-Historical—this school states that the book is an inspired forecast of the whole of human and Church history, especially the history of Western Europe and its Church from the first century to the Second Coming. Quite often in this school of thought, the Roman papacy is the beast and the Roman Catholic Church the false prophet (Revelation 12). One of the many problems with this school is that it claims Revelation is about the European Church, when it was in fact originally written to Asian churches. 3) Idealist/Symbolic—this school states that Revelation has relatively few references to specific events or persons in history. Rather, it is a symbolic portrayal of the spiritual conflict which exists between the kingdom of God and the kingdom of Satan. The beast, for example, is satanic evil rather than any specific person—past, present or future. “It simply sets out principles on which God acts throughout human history.” Whereas apocalyptic literature was a symbolic genre, the difficulty with this school is it fails to remember that apocalyptic also concerned itself with specific end times historical events. 4) Futurist—this school sees Revelation as largely a prophetic forecast of history, especially as it concerns the Church in this Age. The seven letters were addressed to seven historical churches; the seals represent the forces of history (however long they may last), used by God to work out His plan of salvation. Beginning with either Revelation 8 or 16 (scholars vary), the events pertain exclusively to God’s final will for human history, the Millennium and the Age to Come. voetnoot: Dispensationalism is a sub-unit of the futurist school, sometimes termed the extreme futurist view. Dispensationalism opts for a literal interpretation of all biblical prophecy (except in cases where symbolism is obvious). “The seven letters are seen as seven successive ages of Church history symbolically portrayed. The character of the seven churches depicts the chief characteristics of the seven periods of Church history, the last of which will be a period of decline and apostasy (Laodicea). The rapture of John (4:1) symbolizes the rapture of the Church at the end of the age. Chapters 6-18 depict the period of the Great Tribulation– the last short but terrible period of Church history when the Antichrist will all but destroy God’s people. In the dispensational view, God’s people are Israel, restored to Jerusalem, protected by a divine sealing (7:1-8), with a rebuilt temple (11:1-3), who suffer the wrath of Antichrist. The Church is no longer on earth, for it has been caught up to be with the Lord in the air” (George Ladd, op. cit., pg. 12). In dispensationalism, the Millennium is the time when a Jewish theocracy, with the Temple, the sacrificial system, and the Law of Moses, is restored and the Old Testament prophecies concerning Israel’s future political triumph over the Gentiles are literally and physically fulfilled.